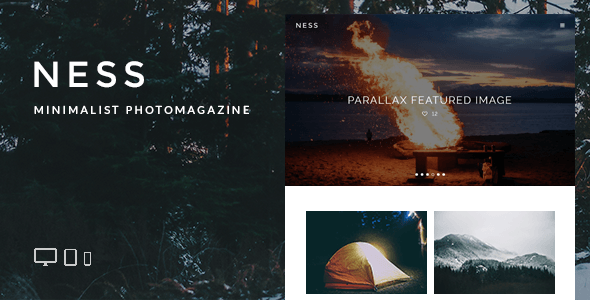 Ness is a modern minimalist personal photo magazine theme for WordPress that can be used on any niche. It is responsive, HD (retina-ready) and has unique features to ensure great readability. Full-screen image embeds with no shortcodes, parallax featured images, beautiful full-screen gallery post type that is touch-friendly (and portrait-image friendly too), which all leads to a wonderful user experience on all devices and screen sizes. Comes with .mo/.po files for quick and easy translation. Spanish already translated.